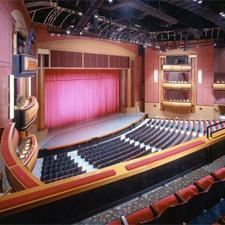 Press Room » FSCJ Artist Series presents Celtic Thunder X! 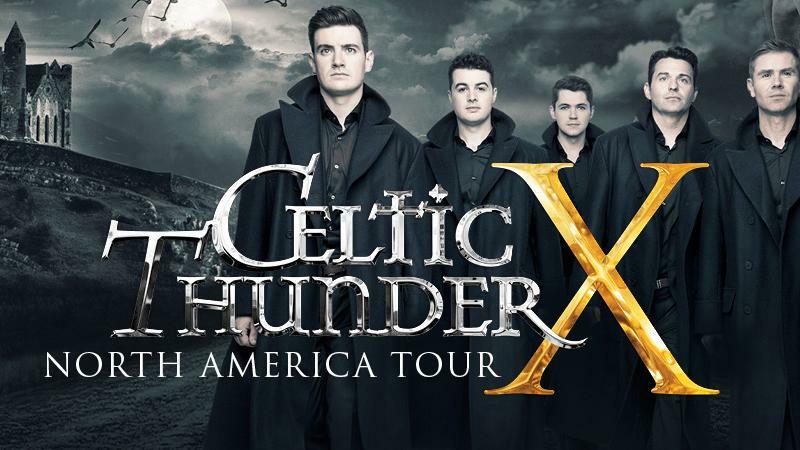 FSCJ Artist Series presents Celtic Thunder X! CELTIC THUNDER X, a brand new show to celebrate 10 Years of Celtic Thunder with a fantastic mix of both traditional and contemporary Irish Songs, Classic Hits, Love Songs, Nostalgic Songs and Fun Retro Songs from the soundtracks of viewers lives. There’s no resting on your laurels for Public Television phenomenon Celtic Thunder! The multi-platinum Irish group disembarked from its third Celtic Thunder Cruise in November and completed a US Symphony Tour in December, all the while making preparations for the all-new CELTIC THUNDER X Deluxe Double CD and Deluxe Double DVD packages, released on March 2, 2018. The release celebrates the group’s 10th Anniversary and the Celtic Thunder X tour of 75 cities across the US and Canada, begining in the fall of 2018, and coming to Jacksonville’s Times-Union Center December 20, 2018 for one performance only. Tickets go on sale March 30, 2018 at 10 a.m. The brand new music and footage from CELTIC THUNDER X was also a highly anticipated television special, which began airing nationally on March 1, 2018. The special was filmed in Dublin on October 30, 2017 at the Helix Theatre. Celtic Thunder has become one of public television’s largest draws. Their shows have aired over 22,500 times across 50 states on PBS. The group is among the top five audience-generating acts on the network. Check local listings for airing dates/times of Celtic Thunder's new CELTIC THUNDER X special. Backed by the amazing Celtic Thunder Band, the singers (Damian McGinty, Ryan Kelly, Michael O’Dwyer, Emmet Cahill & Neil Byrne) deliver new ensemble numbers including “Sons of Light”, “Toora, Loora, Lay”, “The Wild Rover”, “Right all right”, and “Castle on the Hill,” followed in the second act by nostalgic, fun songs like “Celebration”, “I’m a Believer”, “Seasons in the Sun,” and “Rise Again”. No Celtic Thunder show would be complete without an encore of their rousing anthem “Ireland’s Call”, the only song in CELTIC THUNDER X that isn’t a new song, but which never fails to bring the audience to its feet. "We had a blast making CELTIC THUNDER X. The music choices were carefully selected to suit each member’s personality and gave us something we could really dig our teeth into. The musical arrangements, the orchestra and the band are all great, and they really helped to create our best show to date. We love singing songs that are a perfect mix of traditional and contemporary Irish Songs, along with the fun we have performing hit songs that are known worldwide." Damian, Michael, Emmet, Ryan & Neil, Celtic Thunder. Celtic Thunder have sold over 3.4 million albums in the US, combined, toured the U.S. and Canada, coast to coast, 12 times, and Australia 4 times performing almost 1,000 shows to date, selling well over 1 million tickets. Celtic Thunder has been hailed as BILLBOARD’s “Top World Music Artist,” along with “Top World Music Imprint” and “Top World Album” of in 2008, 2009, 2011, 2015 and again in 2016. The Celtic Thunder official YouTube channel, “Thunder Tube” has received over 98 million views since 2008 and has more than 138,000 subscribers. The Celtic Thunder website www.celticthunder.com reached over 5.3 million users last year. Their Facebook www.facebook.com/celticthunder has 461,000 followers and over 42,000 on Twitter https://twitter.com/CelticThunder. www.theceltictimes.com, Celtic Thunders monthly newzine has a readership of 1.2 million and 100,000 subscribers. Celtic Thunder has appeared on multiple national TV programs including The Today Show, CBS Early Show Saturday, Fox & Friends, QVC, and numerous regional shows in major cities.